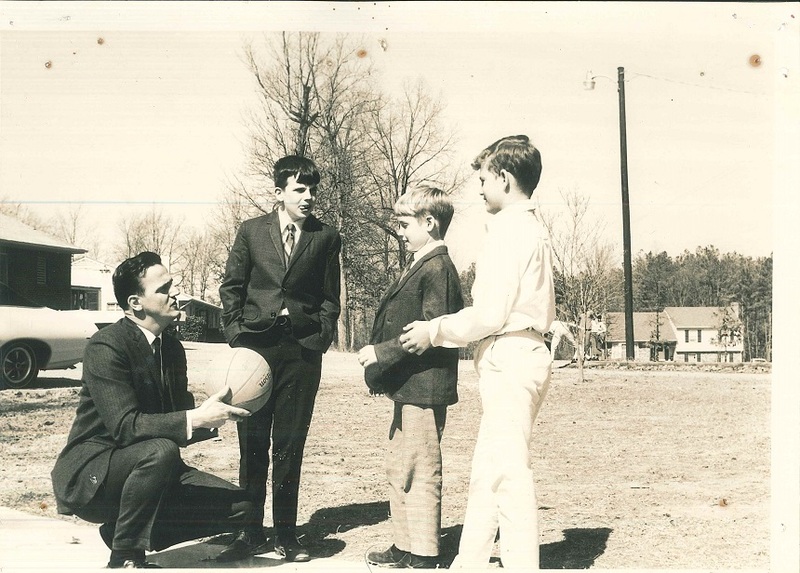 At Virginia Home for Boys and Girls (VHBG) we are always interested in connecting or reconnecting with Alumni who once lived or went to school with us throughout the years. If you are an alumni and would like to be more involved on an ongoing basis, we would love to hear from you. Any stories you might have or memorabilia you might want to share is greatly appreciated! You represent our “Living History”! We are always looking to profile alumni in our external communication materials. The best way to share a success story is when it’s told by the person who succeeded. We want to share your success. For more information or to share, please contact Christopher Campbell, VHBG’s Program Development Manager, at (804) 270-6566 ext 135 or email him ccampbell@vhbg.org. On August 24, 2016 the VHBG Alumni Association was privileged to have Christopher Campbell, VHBG Program Development Manager, provide us with an up-to-date presentation of VHBG’s mission and goals as they exist today. Mr. Campbell provided an impressive layout of VHBG archived articles, photos, documents and much more, with interesting material dating well back into the 1800’s. Mr. Campbell has been tirelessly pursuing every available source in gathering material and information on the history of the Home and the results have been impressive. The Alumni Association thanks him for his efforts. The meeting was held in the VHBG fellowship hall in the campus Chapel. It was a very informative presentation and we were pleased to have in attendance William (Pop) Hazelgrove as well as Tod Balsbaugh, both past directors of VHBG, along with other active alumni. Mr. Campbell’s presentation has helped the Alumni Association better understand the objectives and needs of VHBG as they exist today. This will hopefully help both VHBG and the Alumni Association plan together events and interaction activities where the Alumni and the residents can benefit. VHBG Alumni have a wealth of knowledge and experiences that can prove advantageous to these young people who in many ways share a reality that we once did. We alumni have an advantage of knowing where the road can take us in one’s “life after VHBG.” This is too valuable to not share and put to good use. With your help and VHBG’s staff we can make a difference in these young people’s lives by coming across as big brothers and sisters. Let’s do what we can. We will keep you informed as to up-coming activities and their dates. It is with great sadness that the VHBG Alumni Association and VHBG lost one of its strongest supporters and major donors in VHBG’s 170 year history. 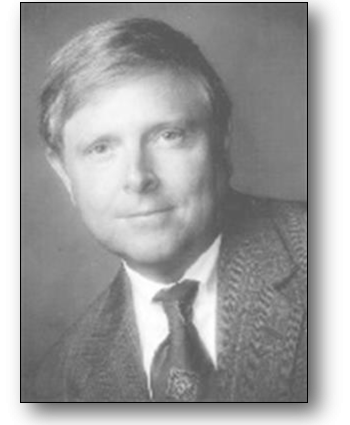 Patrick C. Kelly (1947-2016) passed away in May in Jacksonville, Florida. Patrick founded and built the medical supply company PSS, later PSSI which in 1996 was the 16th fastest growing companies in the United States. He was a Horatio Alger Award winner and a VHBG Alumnus of the Year and loved and supported VHBG in so many ways through the years. Patrick Kelly lived at VHBG for one of the longest periods recorded, having arrived there at the age of five. Having known Pat since the age of ten and having been blessed with his close friendship for so many years, I can attest to the fact that his entire life was one of helping and doing for others in so many ways. A very special person who will be greatly missed but his selfless and successful legacy will long be remembered by those who knew him as VHBG continues to benefit from his past generosity and positive influence. THANK YOU PAT KELLY ! ! ! The Alumni Association will be conducting a fund raising raffle between now and Christmas with a goal of reaching between $1,000 and $2,000 dollars to be presented to VHBG at the 2016 holiday party in December. One alumnus is offering a challenge to the Alumni Association to raise funds which he will match dollar for dollar up to $1,000. We will be announcing details of the raffle and how tickets can be bought as soon as they are available. We hope you’ll help us reach our goal. William L. “Bill” Hazelgrove, a lifelong child advocate, retired Korean War Army veteran (1950-1953) of the 4 5th Infantry Division, and recipient of the Bronze Star medal, died Thursday November 16, 2017. 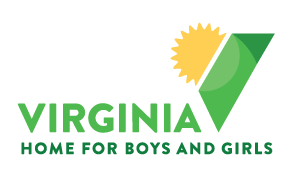 Bill’s concern for children in crisis led him to be named to the position of Executive Director of the Richmond Home for Boys in 1961 [now known as the Virginia Home for Boys and Girls/VHBG]. 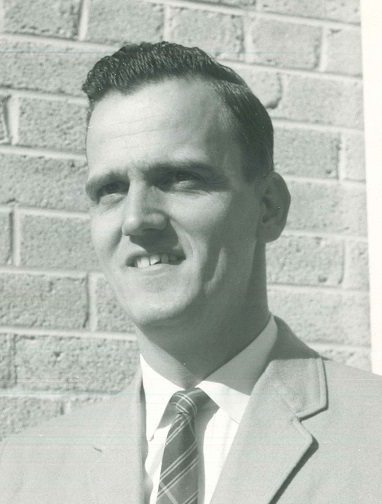 He worked and lived on campus along with his wife Jackie and their children. During his seventeen years of service, he transformed the lives of many boys. Alumni still affectionately referred to Jackie and Bill as “Mom and Pop”. This was because of their dedicated service and their unconditional regard for their welfare and for the creation of a place they called home. Bill and Jackie called the current alumni their “boys”. Bill served as a strong father figure and guided many young boys through some very tough times. These boys (now men in their fifties, sixties and seventies) regularly tell VHBG staff how much better off they are having lived at VHBG under his care. Bill was active in the VHBG Alumni Association and served as an honorary member. He enjoyed the meetings and outings which gave him the opportunity to interact with alumni and catch up on what was happening in their lives. Alumni president, Jim Hingley, says he learned lessons from “Pop” that carried well into his adulthood. “Pop’s qualities and virtues are reflected in my own parenting and life in general. He showed me what constitutes a wonderful marriage.” Besides being a true father figure to many young men, in 1974 Bill and Jackie founded VHBG’s John G. Wood School which still operates today as a specialized K-12 school for children who struggle to succeed. “Through the Bill and Jackie Hazelgrove Scholarship Program, many young people have been assisted with college or vocational degrees,” said Claiborne Mason, VHBG president. Additional accomplishments during Bill’s tenure include the construction of Kiwanis Cottage and Gooch Gymnasium on VHBG’s campus. “Bill was deeply loved by his family and his boys, who had remained very close to him until he passed away. He was a wonderful man, who will be missed by many, but he made his mark on this world in extraordinary and lasting ways.” Mason added. 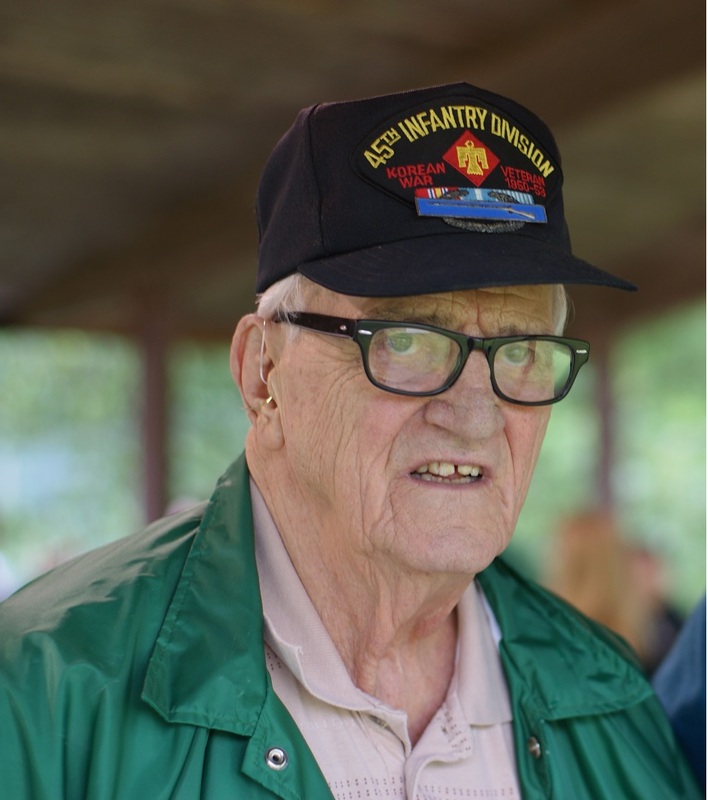 We mourn the loss of VHBG alumni and American hero, James Early Wood (better known as “J.Early”) who passed away on November 25, 2016 at the age of 94. 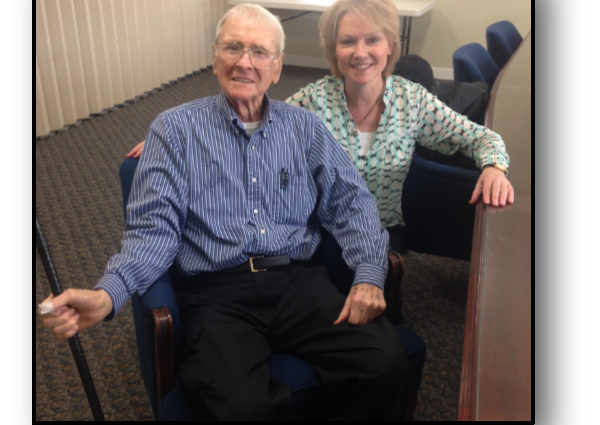 On November 11, Mr. Wood was featured in a Richmond Times Dispatch Veteran’s Day story: click here to read. Just last year, Mr. Early visited the VHBG campus and had a nice chat with president Claiborne Mason. In the RTD article he talks about having a stroke of good fortune (and saving grace) when he was taken in by the Richmond Home for Boys. 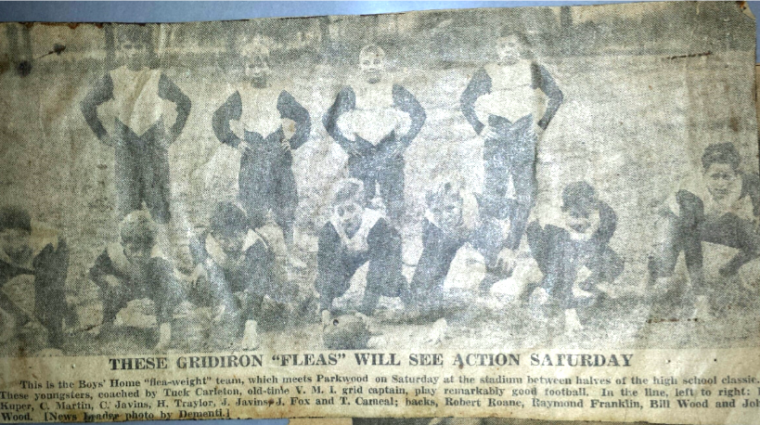 He played football and is pictured in the back row, far right below. We were honored to have two former VHBG leaders from the 1960’s through 2000’s, Bill “Pop” Hazelgrove (second from left) and Tod Balsbaugh (third from left), along with other alumni on campus recently. 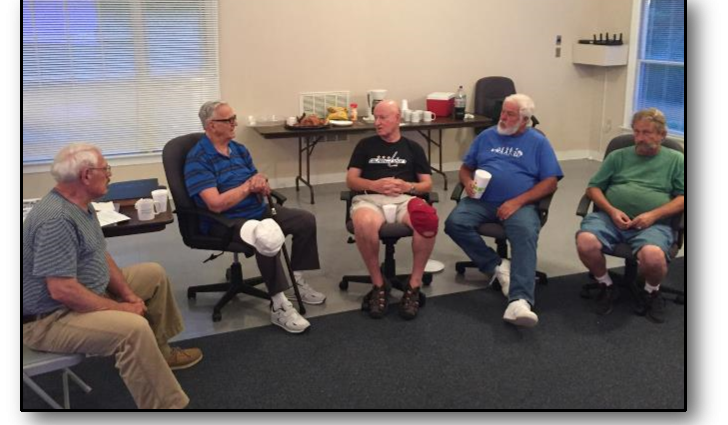 Jim Hingley, our VHBG alumni president (first on left), organized the gathering.